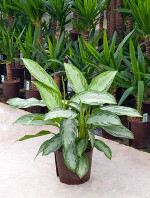 Aglaonema or Chinese evergreen as they are sometimes called offer a range of small, low light loving, leafy plants. 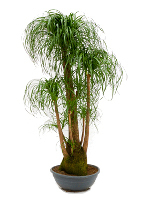 Beaucarnea are often called ponytail palm. 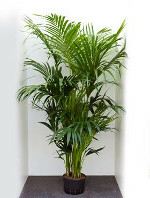 These stunning plants are available in a whole host of sizes from desk top planting to large statement specimens. They prefer medium to good light levels. 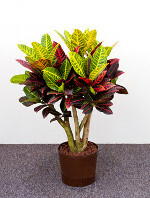 Codiaeum often called Croton are native to southern India, Malaysia and the Pacific islands. 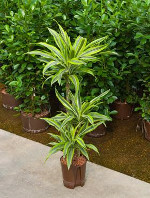 There are many types which all have glossy variegated leaves of different shape, size and colour. They prefer medium to good light levels. 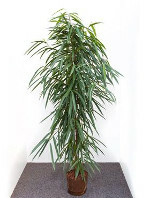 Dracaena NASA rate these plants as some of the best air filters. They love low light and look good as well. Ficus Commonly called the weeping fig, this is a huge range of plants including, bush forms, standards, decorative stems, bonsai and many more. They prefer good light. 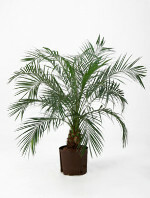 Kentia palm is actually the common name for Howea forsteriana a native of Lord Howe Island, Australia. Another plant that thrives in low light. Phalaenopsis orchid Often called the Moth orchid. These Asian beauties will often flower for at least 1 month but generally many more and come in numerous colours. They prefer medium light levels. 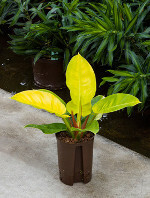 Philodendron These colourful and fancy shaped leaf plants are native to the tropical Americas and West Indies. They prefer medium to good light levels. Phoenix roebelenii Commonly called the miniature date palm. These are tough little plants that cope where others will not and flourish in good light. 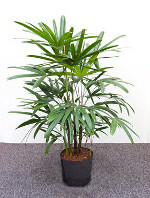 Rhapis palms are a form of fan palm believed to be natives of southern China and are also known as lady palms. They are perfect in cool low light areas. 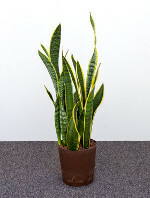 Sansevieria are native to west Africa and are often called by their common name of mother-in-law's tongue. They work in low to good light but prefer medium. 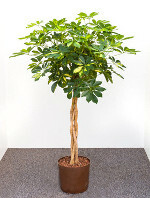 Schefflera or umbrella plant as they are commonly called. We tend to use the bush form and ones with interesting stems. They like medium to good light. 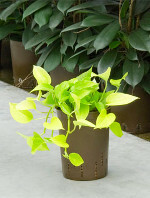 Scindapsus or Epipremnum as they are also called are better known as Devil's ivy. They are excellent air filters that thrive in most light levels but prefer medium light. 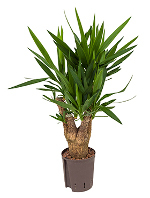 Yucca Tough drought tolerant plants that thrive in most light levels and can cope with varying temperatures.